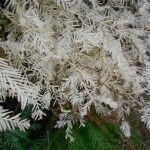 The instant that I heard that there was such a thing as albino redwood trees, I knew that I was going to have to try to find one to see it for myself. The problem is that finding them isn’t an easy thing to do. 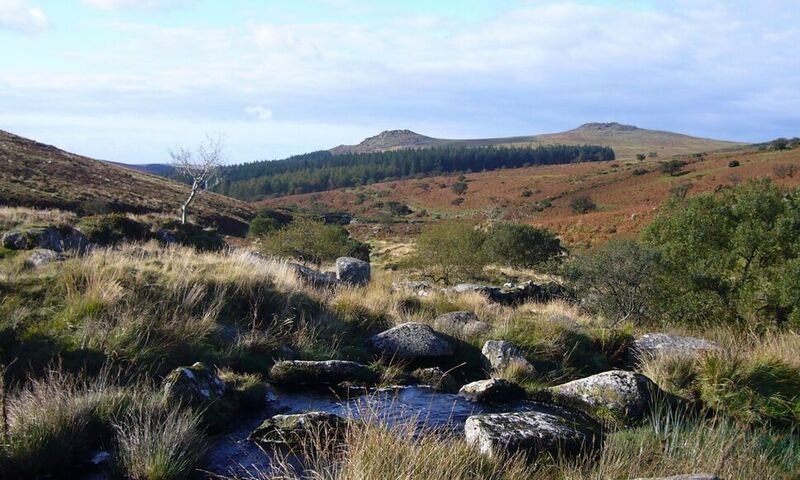 Since these trees are so rare, the places where they grow are, for the most part, deeply guarded secrets. 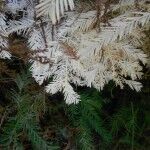 And despite the huge contrast in color from the normal redwood trees, they can be very difficult to spot. 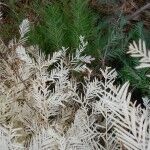 The albino redwood (sometimes called the ghost redwood or white redwood) gets its unique white color because it isn’t able to produce chlorophyll. 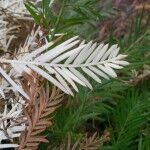 The result is that it has white needles instead of the typical green needles found on most redwood trees. 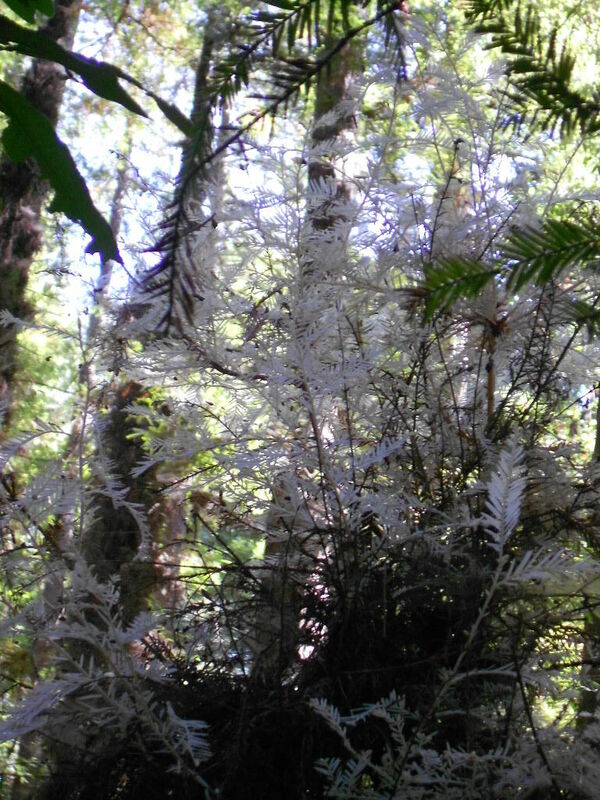 These ghost redwood trees don’t grow to be very tall. 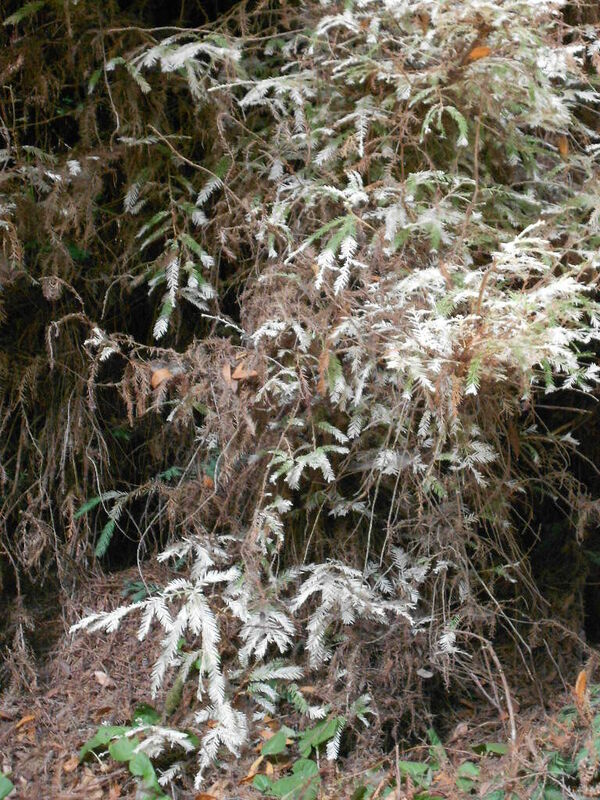 Since they can’t produce chlorophyll on their own and thus lack the ability to do photosynthesis, they have to get all their nutrition from the roots of the redwood tree from which they sprouted. This limits how big that they can grow. 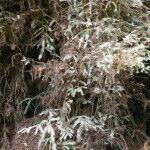 Since they must derive all their nutrition from the roots of the main tree, this makes them a parasite. 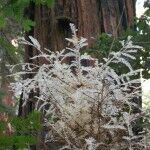 These white redwoods are exceedingly rare — It’s estimated that as few as 25 may exist in the world. 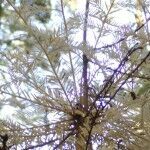 I came across this albino redwood at Henry Cowell Redwoods State Park in California. 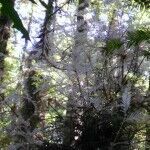 There are supposed to be several of the ghost redwoods throughout the park, but except for a single one along the Redwood Grove Nature Trail (stop #14), their locations are not publicized to keep people from destroying them.